Have you ever seen someone attending a call with a tablet of 10inches? If not, someone else will see and laugh – the new generation Galaxy Tab 4 10.1 from Samsung still has the function of voice calling and headset are not provided in the package. Let’s see what else is missing in the supposedly updated tablet. A series of Samsung Galaxy Tab for several years now offers very attractive characteristics and price and is constantly updated with new models to keep up with competitors. And we must say, it is a good idea to get success. 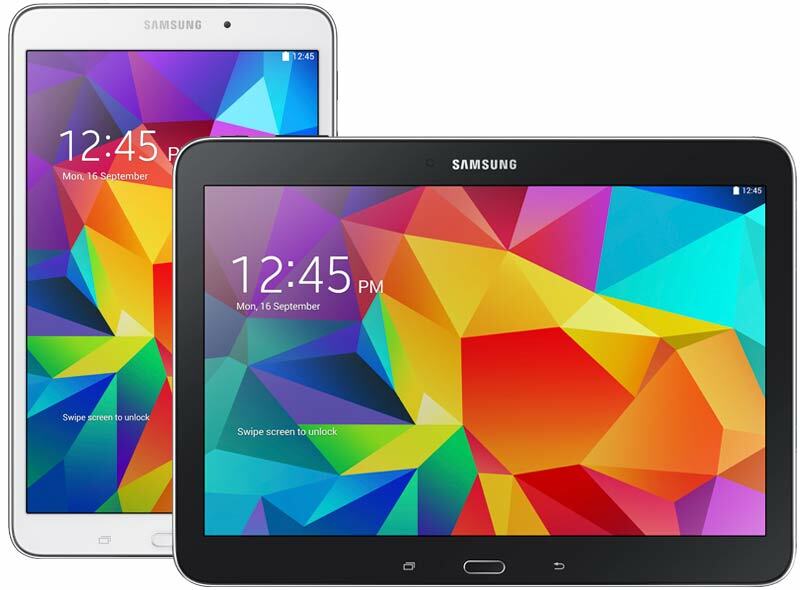 The new 10-inch Galaxy Tab 4 10.1 is sold in two versions; one is equipped with LTE and a processor Qualcomm Snapdragon 400 MSM8226 400. Its clock frequency is lower than that established in the previous model, but it is quad-core now. Also increased the amount of RAM, now it is 1.5 GB. And the tablet is able to call and send-receive SMS, as a normal smartphone. Most of the manufacturers had avoided this functionality in their tablets and in fact many buyers, it might be useful. But in the same price segment, buyer might have other options like Lenovo Yoga Tablet 10 HD +, Microsoft Surface 2 , HP Slate 10 , and Samsung has other tablets of the same size, namely the Galaxy Tab Pro 10.1 (LTE-version of which is also able to work as a phone) and is still selling Google Nexus 10. The design of the Galaxy Tab 4 10inches case has not been amended to previous generation. The only noticeable difference is the display frame, which no longer seems to be aluminium. Plastic housing pleases; all the parts fit tightly, no gaps. Ribbed rear panel will not slip out of the hands, and rounded edges lie comfortably in the palm of your hand. It is a pity that the device is easily susceptible to bending, uttering at the same squeaks. Tablet running a recent version of Android 4.4.2, as usual, there is traditional shell TouchWiz. Also pre-installed several applications, some of which can’t be removed. For several years in the Android-tablet there doesn’t appear any new interfaces. Some new models supports microUSB port standard 3.0, which makes it much faster to copy data from your PC, but so far this innovation can boast only the most expensive tablets. Even not all devices and Galaxy Tab Pro series are equipped with microUSB 3.0 (for example, in Tab Pro 8 is the usual 2.0), and for “ordinary” Galaxy Tab 4 and say nothing – in this tablet worth microUSB 2.0, and even without the support of MHL, which was in the Galaxy Tab 3 10.1. Still have audio jack, slot for memory cards microSD and SIM-card slot. If you find that the Galaxy Tab 4 is still expensive as of its specifications then you must wait for Samsung Galaxy Tab 5 that would be making its entry in early months of 2015.